Hellions of Troy Roller Derby: Hellions Bout Tonight! I'm super excited for our three new girls who will make their debut tonight: Torya Anewone, Amelia Tear Her Apart, and Con-Tagious! Plus, Valerie Valkyrie and Disharmony will also make their second appearance. The theme of the bout is "No Place Like Home". Torya has the right idea! Baby Nuclear's making some sweet decorations! 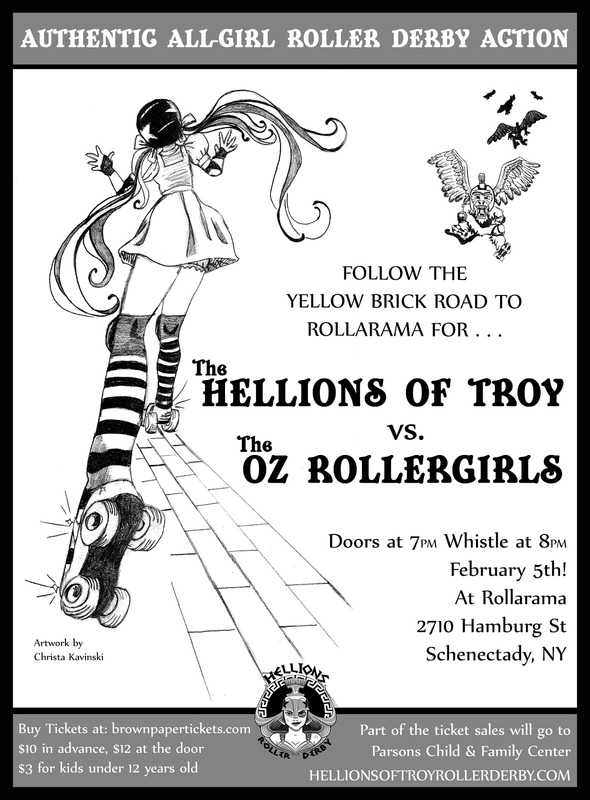 I also know the Oz Roller Girls are on their way here right now! See you tonight ladies!